I usually like to hit the library to see what I can find for these book reviews. But this month I thought I’d share the Hawker family favourites. The gold you can find in our very own library, with not a dud in sight. I was going to pick the top four. But I grabbed nine without even trying. So I rounded it up to ten. Which instantly became eleven. And so it could have continued for a very long time. But I stopped at twelve. That’s restraint, right there. And here they are, in no particular order. Just like all of the books on this list. Let’s press on. This is one of those stories that is fun to listen to and marvel at when you’re young, but that you appreciate on a whole new level when you’re older. The rhythm, the rhyme, the humour. Banjo Paterson is an Australian legend for a reason. Perfect. So simple. So. Simple. Why are the best ideas always so simple? But only AFTER you’ve seen the idea in motion? Orange Pear Apple Bear is beautiful. The title contains 80% of the words you’ll find in this book (take that, Dr Seuss with your 50 words in Green Eggs and Ham!) which are artfully arranged and rearranged with wonderful illustrations. 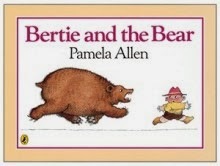 I loved reading this to Ashleigh when she was younger, and now she’s taken over in reading it to Mitchell. 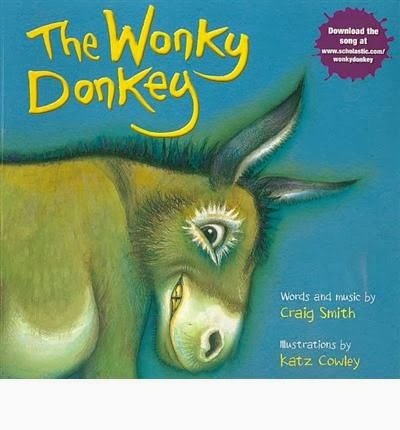 The Wonky Donkey started life as an APRA award-winning song, and it reads just as well as it sings. Kids will join in the hee-haws, and try to manage the tongue-twister the wonky donkey becomes as each new feature is revealed – and, if they’re anything like Ashleigh, probably even master it before you do! Warning: if the idea of a stinky donkey offends you, don’t get this book. One review I read blasted the book for including a stinky donkey picture. One out of hundreds, but consider yourself warned. And if you’re lucky enough to track down a copy with the CD included, you can try to sing it all as fast as Craig Smith does. Good luck! It was tough to choose a favourite Pamela Allen title. 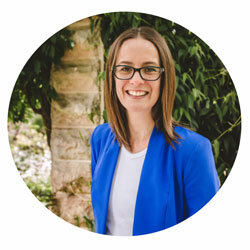 We adore her books – in fact, my husband often jokes that we’ve single-handedly made her rich since we own every single title (and in some cases, more than one copy!). But this one wins for the fun, the sound effects, the easy readability, and of course the ending, pipping other favourites Who Sank the Boat? and Mr Archimedes’ Bath at the finish line. Lynley Dodd? So is this a Hairy Maclary/Slinky Malinki/Schnitzel von Krumm book? No, it’s not. It’s better. The Nickle Nackle Tree is the first book I bought when I discovered I was pregnant with Ashleigh. 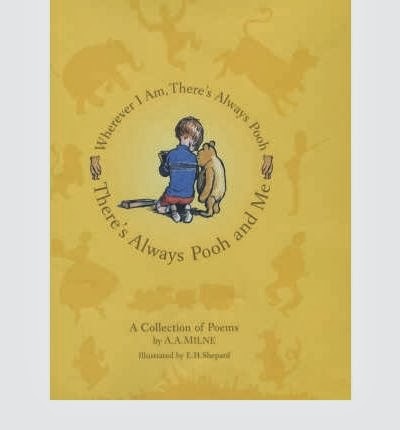 It is so easy to read, and the alliteration makes it surprisingly easy to remember as well – it’s the book I recite to Ashleigh over the phone when we’re not together. 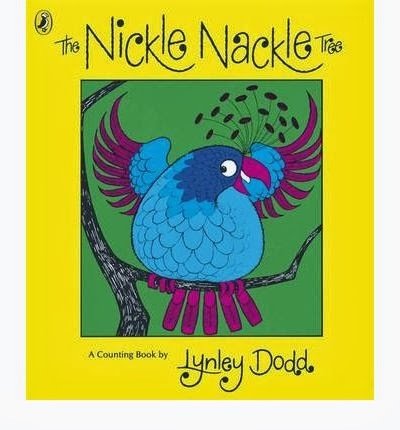 How many birds will you find in the Nickle Nackle tree? You’ll be surprised! 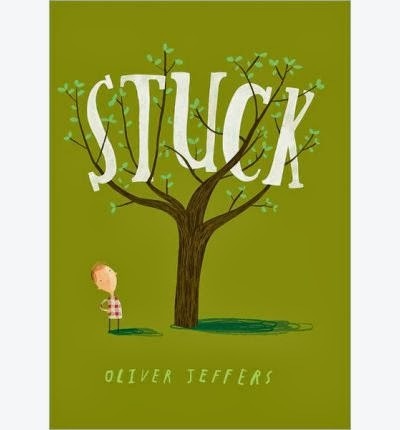 Another author (and illustrator) that it was difficult to pick a favourite for. Well, it was for me, with The Snail and the Whale, A Squash and a Squeeze and, of course, The Gruffalo to compete with. 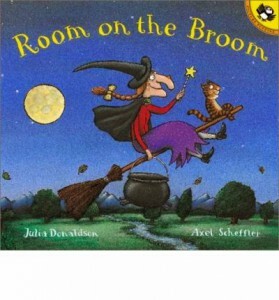 But Room on the Broom is hands-down Ashleigh’s favourite Donaldson/Scheffler book. She has adapted the signature phrases and uses them all the time. This book is an absolute delight to read, with a lovely message as well. 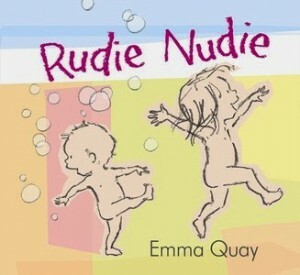 If, like most children, yours ever ran around the house ‘rudie nudie’, then you will love this book as much as I do. Ashleigh’s nana bought it for the title alone, but there is much more to enjoy. Emma Quay has perfectly captured that cheekiness exhibited by toddlers who love to get their gear off (or keep it off after the bath). We read this one at least once a week, and use the phrases within far more often. 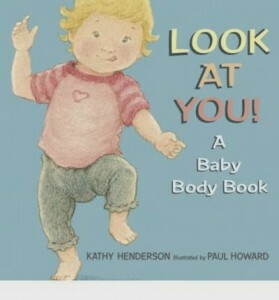 Warning: this book is guaranteed to bring out the cutesy putesy language. We first borrowed Look at You! from the library when Ashleigh was around six months old, and her reaction sent me straight online to purchase it. I don’t know if it was this book in particular, or if Ashleigh was simply ready to engage with books at that age and we just happened to have this one. But she still loves it. And now Mitchell is starting to react to the faces in this book. Oh, Oliver Jeffers. How I love your work. A friend bought Stuck for Ashleigh for her first birthday, and it instantly became a favourite of mine. She likes it too, of course, but this is one of those books that you read to yourself again when your little one has nodded off. One of those books that you don’t mind reading for the second, third or even twentieth time. Floyd gets his kite stuck in a tree. So he throws his favourite shoe at it to knock it down, and that gets stuck too. And that’s just the beginning of the stuck fun. Teehee. TEEHEE. 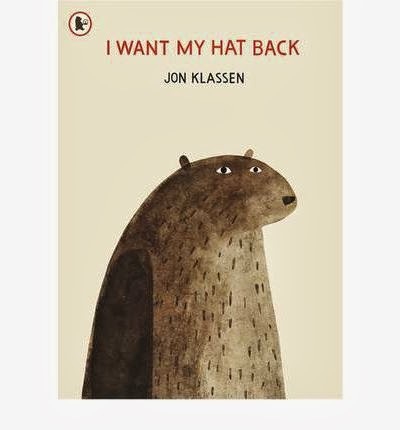 I Want My Hat Back gets me every time. EVERY TIME. Warning (and spoiler alert): a rabbit is (probably) eaten in the reading of this book. 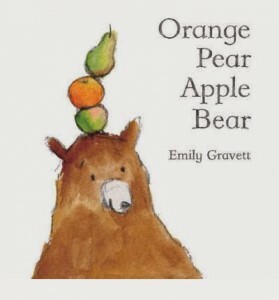 It is only alluded to, not seen or even described, but if you don’t want to explain to your child that bears sometimes eat rabbits, you may want to avoid this book. If you’re not against explaining to your child the dietary requirements of bears, then you must get your hands on a copy of this book. It is absolutely hilarious. Ah, here it is. I just couldn’t have a favourite children’s book list without my beloved Dr Seuss in it! Fox in Socks is easily my favourite Dr Seuss book. It wins because it’s fun to read. It wins because it’s ridiculous. It wins because it was my favourite Dr Seuss book when I was a toddler and you can’t beat nostalgia. It wins because I STILL can’t say the tongue twister about Bim and Ben and their broom-bending and broom-breaking. I have no problem with chicks, bricks and blocks. No problem with Sue’s socks and Slow Joe Crow. No problem with Luke Luck and his duck liking and licking lakes. But Bim and Ben get me every time. And that’s twelve! I could have kept going. I ummed and aahed over Ten Little Fingers and Ten Little Toes, The Jolly Postman and The Eleventh Hour. I even had The BFG in my hand before deciding to focus on books for younger readers. But I stopped at twelve. Twelve books we all read and enjoy. Twelve books I couldn’t imagine our library without. I hope you found something new. If not, I hope you like this selection! They’re the top twelve books in the Hawker household (this week, anyway). What are yours? 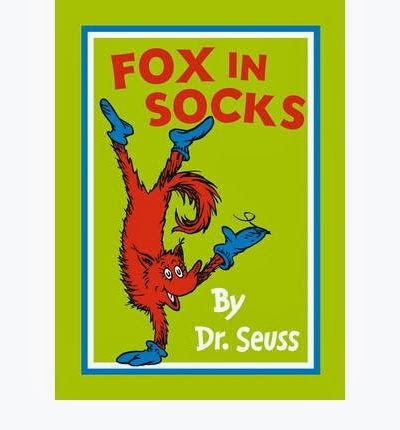 Fox is socks is my absolute favourite Dr. Seuss book! You have excellent taste in Dr Seuss books! Ooh, I haven’t seen the youtube clip – thanks for that! What fantastic recommendations! I love every single one of em, even the ones I haven’t read. I can tell your taste is the same as mine. And I will order Stuck and Look at You from the library asap. You’re welcome – I hope you like The Wonky Donkey. Ruby Red Shoes, Lady Bug Girl and Shoes and Boots are big for Miss 4, as for Miss 7 the newest Wimpy Kid is out and she is in love with it. Thank you for the suggestions! Will keep an eye out for the first three, and will keep Wimpy Kid in mind for later on. Excellent picks! For someone who has spent her entire life and career with books there are a few new ones in there for me. That witch one looks great and I am definitely going to go back and buy Rudie Nudie now. My husband pointed it out to me one day when we were shopping but I didn’t have time to have a look as the toddler decided that she was done shopping for the day and you know how that goes! And this reminds me I really need to get to the library and take out a membership. Definitely – we live at the library some days! Enjoy Rudie Nudie. Well worth the purchase. Ohh these books look great. Mr 4 loves to be read to and I decided to do the book advent calendar this year so I might have to add a few of these to our list! Book advent calendar? Sounds intriguing! Will have to check that out! We were lucky enough to hear Craig read the wonky donkey at our local library – hilarious!! I am ashamed to admit there aren’t many Alison Lester titles in our house. Something a big jolly fat man in red will soon rectify! Thanks for the suggestions. I have to admit I was pretty proud of myself when I realised I could say the final string from memory! How sad! You’re welcome! Glad you like the list. There’s just something so special about sharing favourite books with your child. Mulga Bill!! That takes me back, I must get it for my boys. I love reading Dr Suess because it’s fun, and I like the challenge of not getting it wrong. However, Ben and Bim is pretty hard. I’m glad it’s not just me who struggles with Bim and Ben! A really wonderful collection. 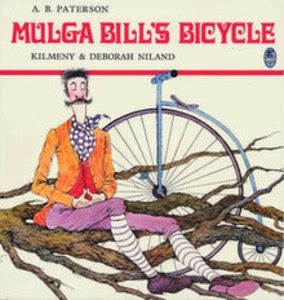 I would love to get hold of Mulga Bill’s Bicycle. I will be on the lookout for that. Thank you! I tried to find it but struggled. If the link above doesn’t still work, I can suggest trying newsagencies. I’ve seen it (admittedly not recently) at four different newsagencies together with The Man From Snowy River and Waltzing Matilda. The Wonky Donkey has actually scarred my 6 year old for life. She got it two years ago for Christmas, had it read to her once and then we had to hide it and if she ever sees it she freaks out. She was completely distraught about all the things that happened in the book, particularly the part where he lost an eye and she is now afraid of donkeys! Oh no! Well, thanks for the warning for everyone! We still love it here. Yes, we’ve read Monkey Puzzle before. Adorable! I have a feeling there are a few more Scheffler/Donaldson books on their way to the kids for Christmas!